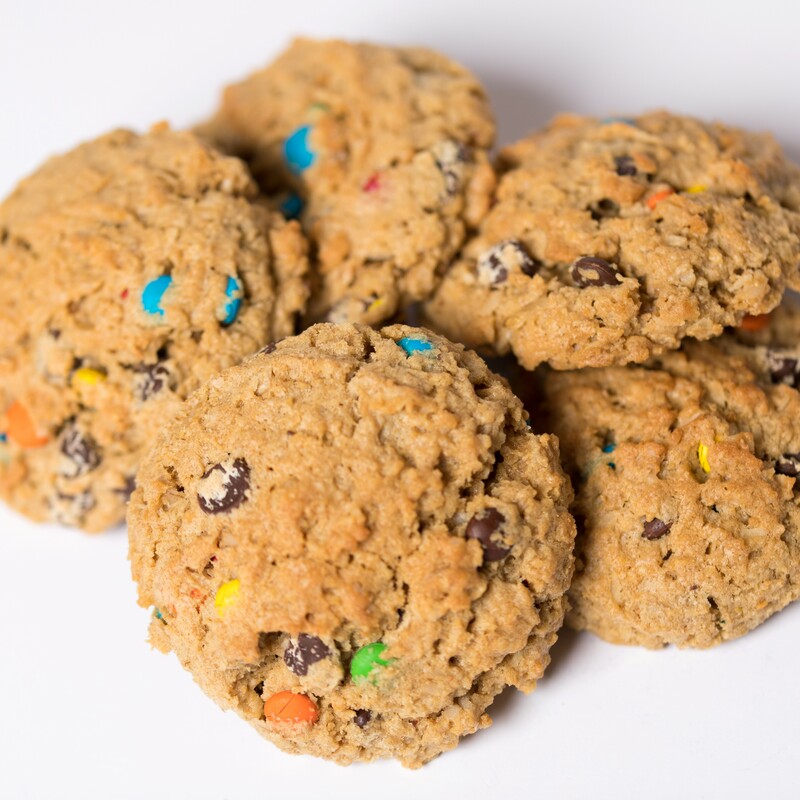 Monster Cookies & More products are baked fresh daily, for that reason, we must have a 24-48 hour notice on any orders. 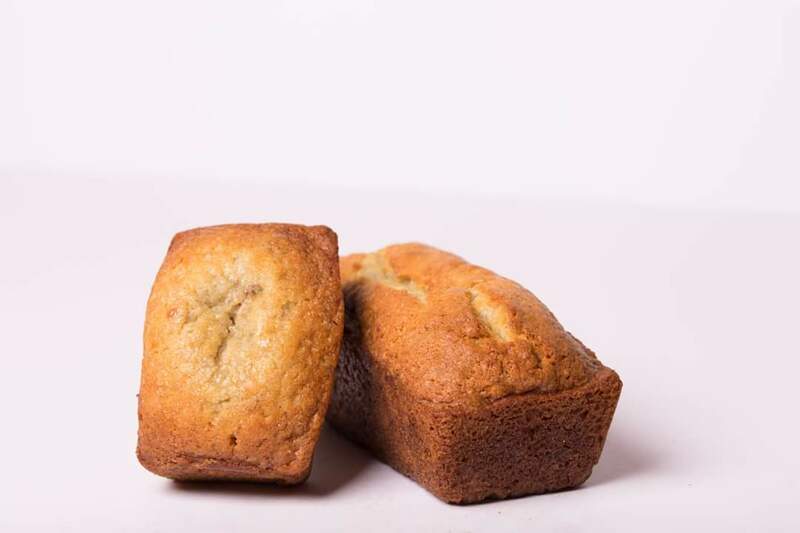 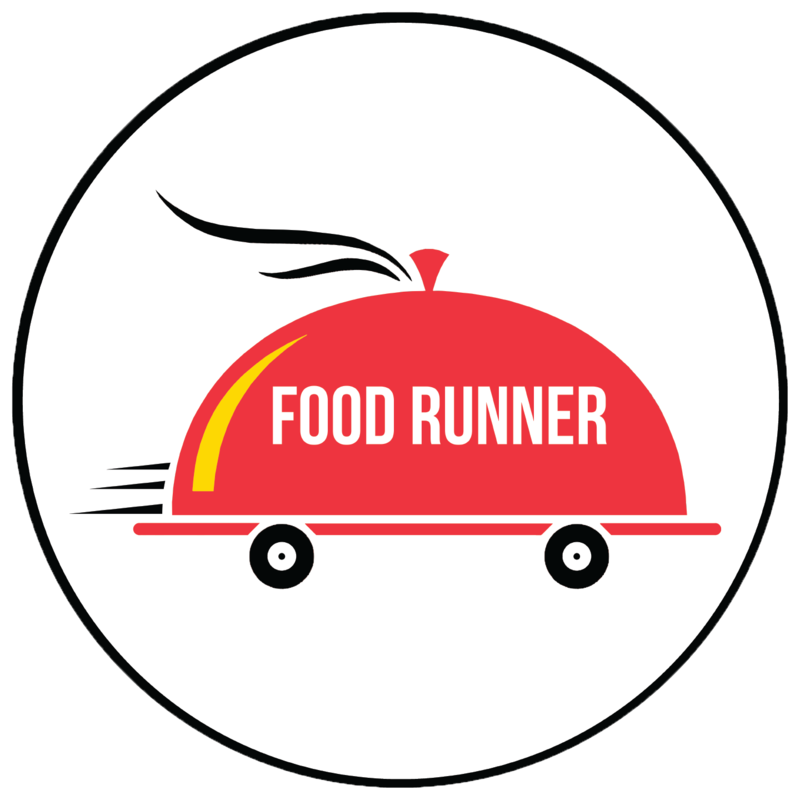 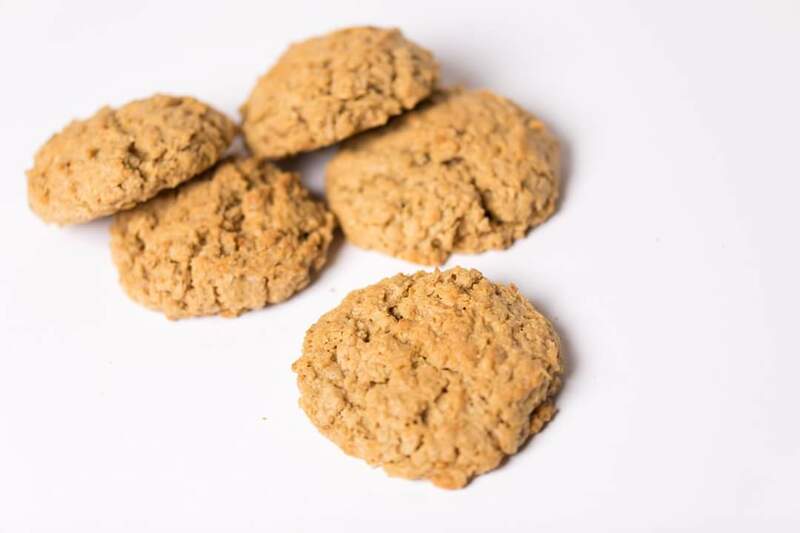 Monster Cookies & More products are baked fresh daily, for that reason, we look to have a 24-48 hour notice on any orders. 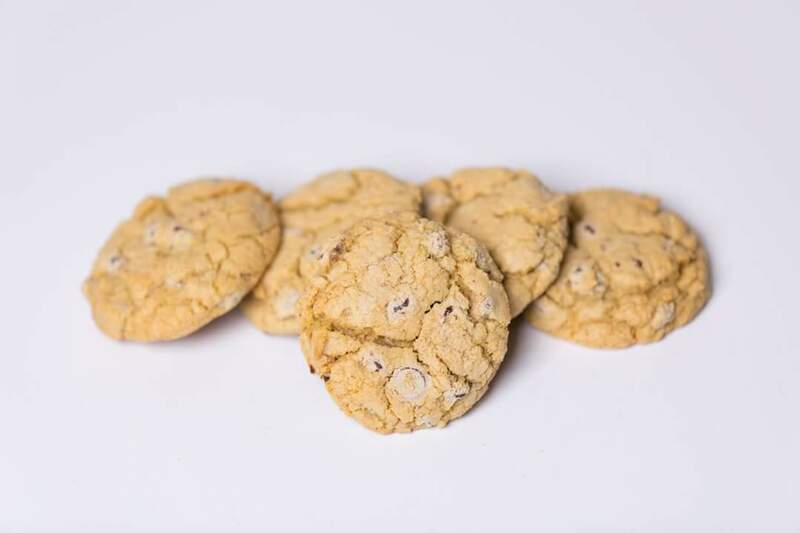 The cookie that started it all. 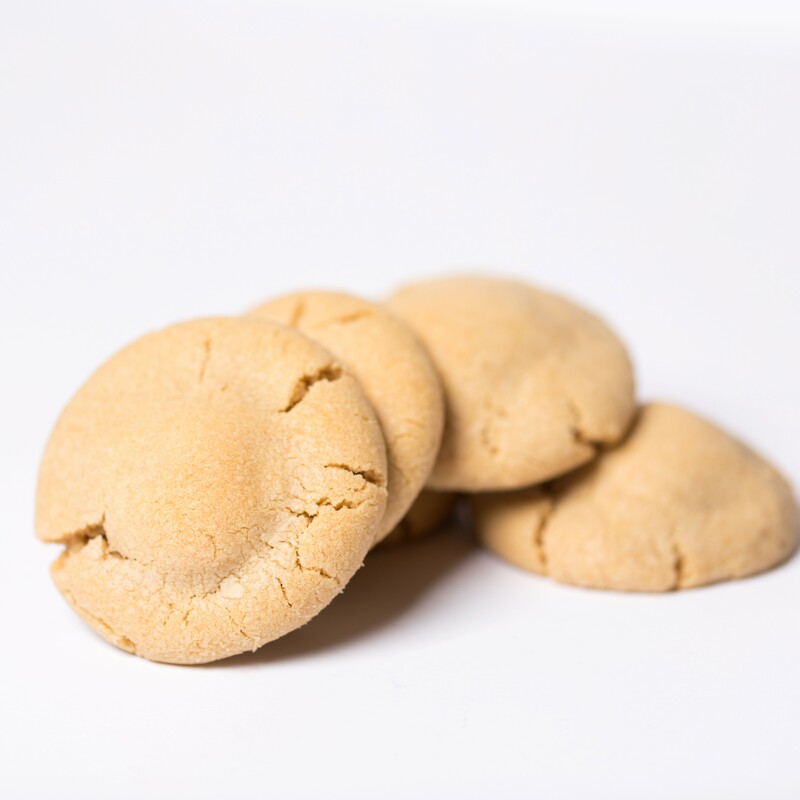 The famously irresistible cookie that started it all. 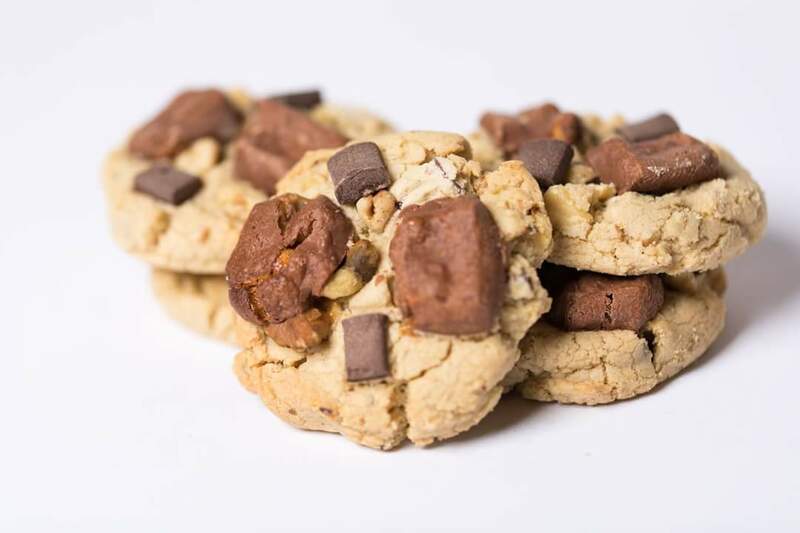 Chucked full of chocolate and peanut butter goodness. 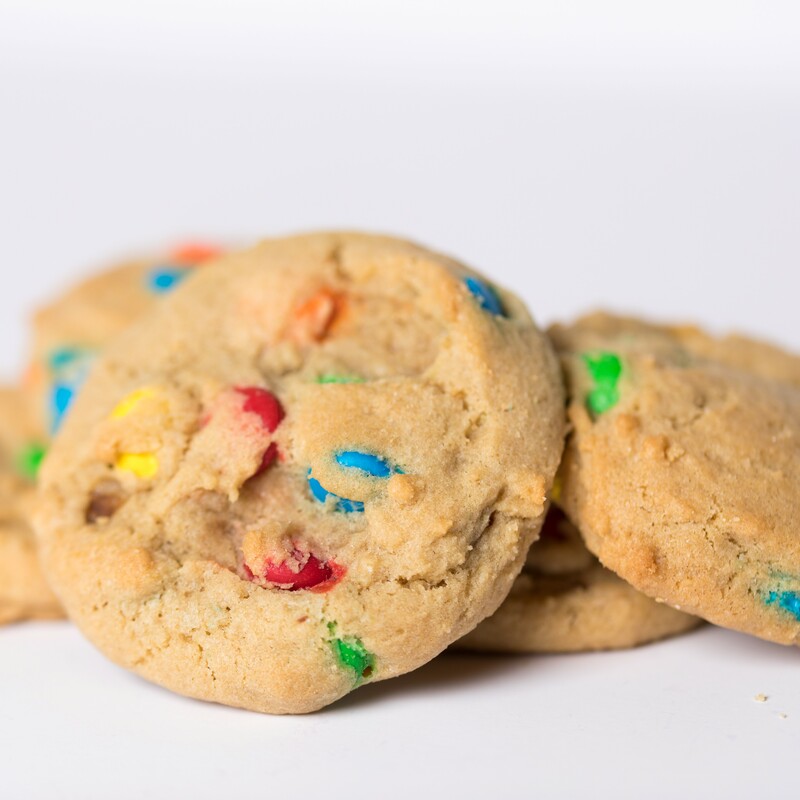 Classics are always the best..
A colorful M&M treat that all will love and the kids will enjoy. 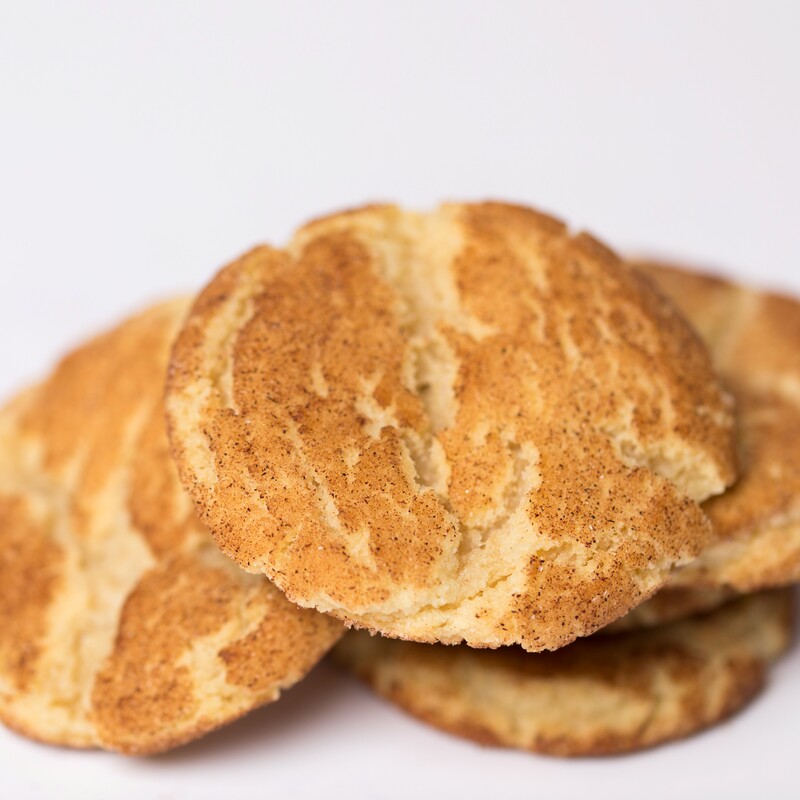 A simple sugar cookie rolled in cinnamon and sugar. 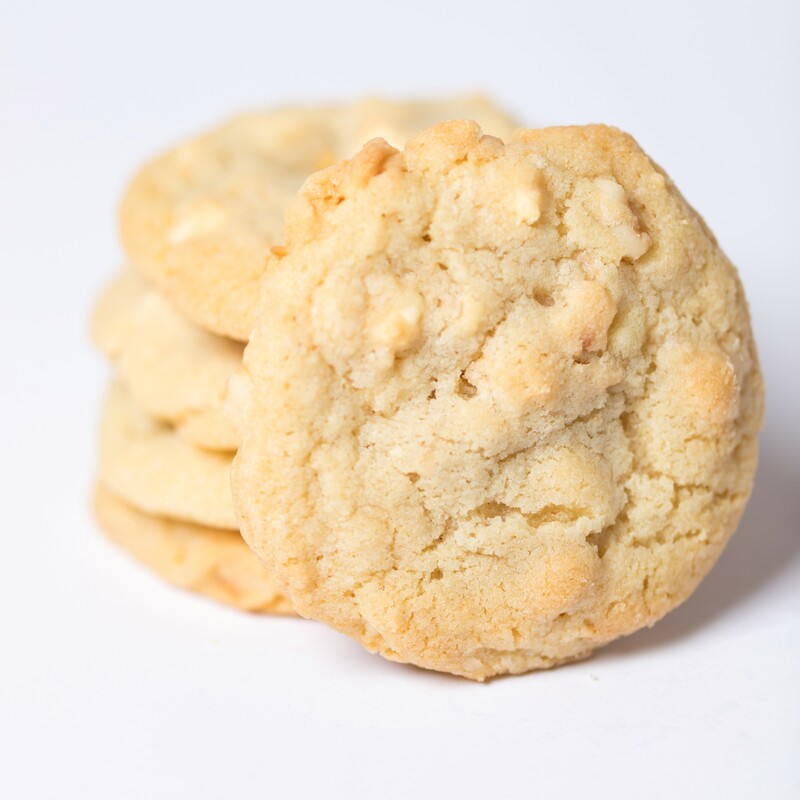 White chocolate chips and macadamia buts in a cookie that tastes oh so heavenly. 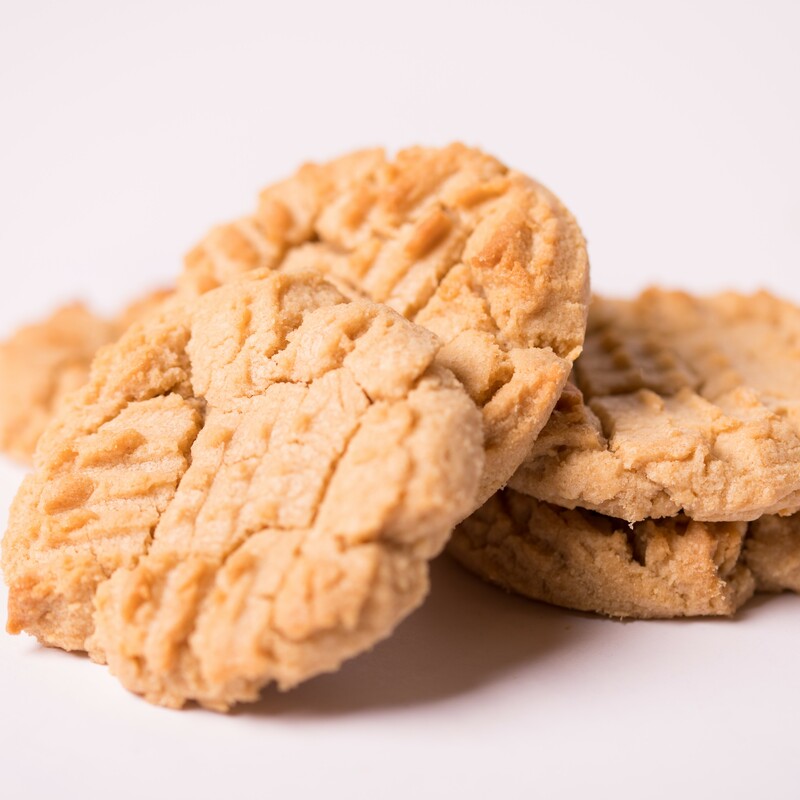 What could be better than a peanut butter cookie? 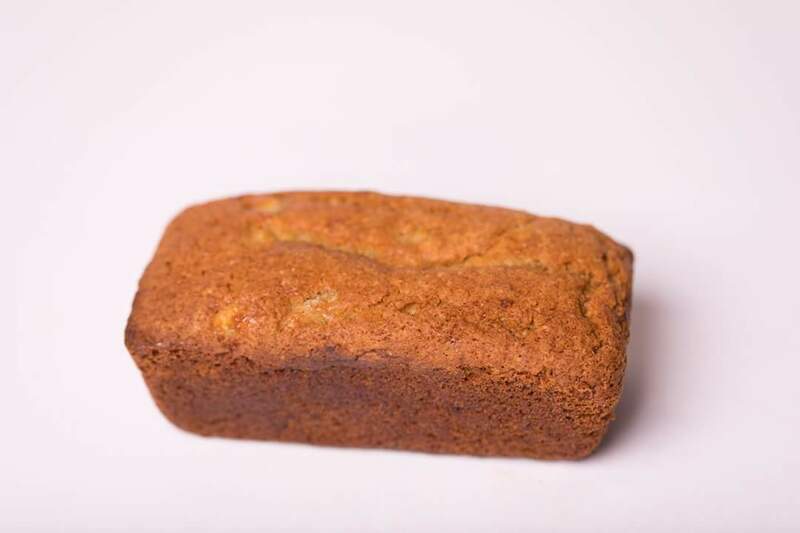 One with a snicker bar inside! 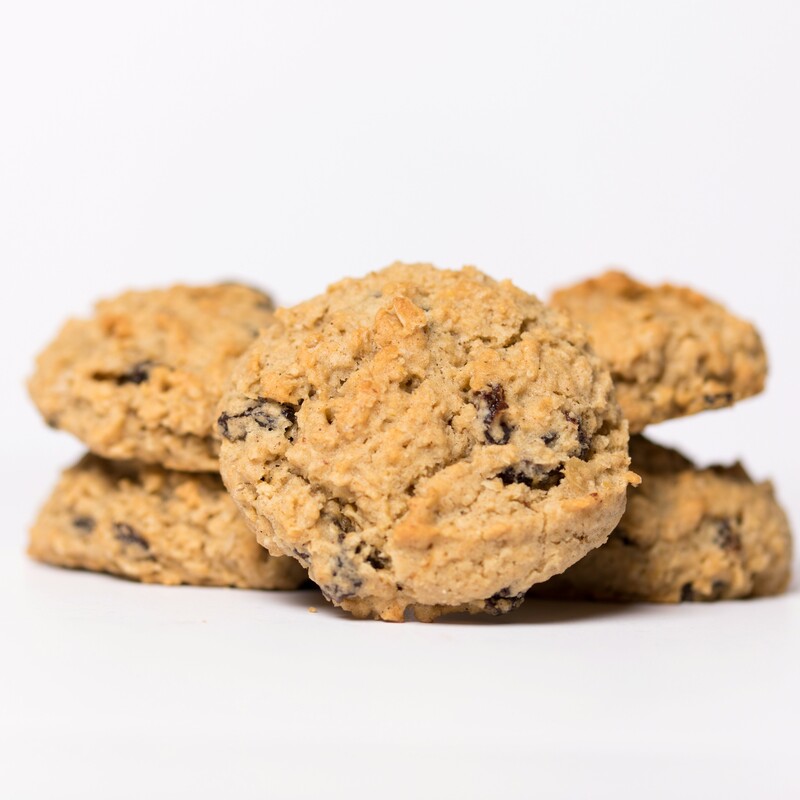 A chewy, chocolaty twist on the original oatmeal cookie. 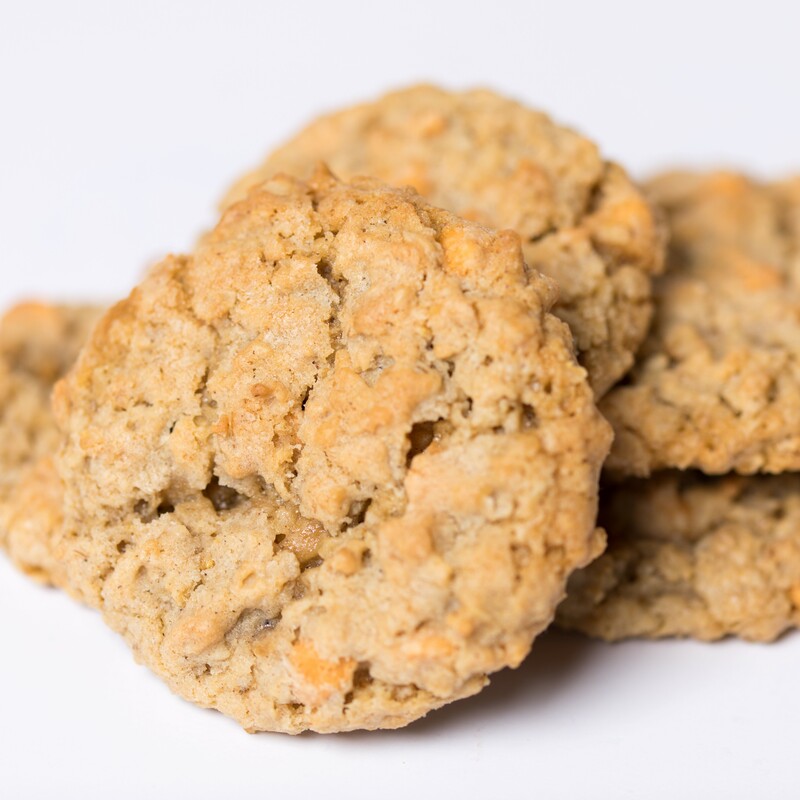 A chewy oatmeal cookie with butterscotch chips that may just make this the sweetest cookie you'll ever sink your teeth into. 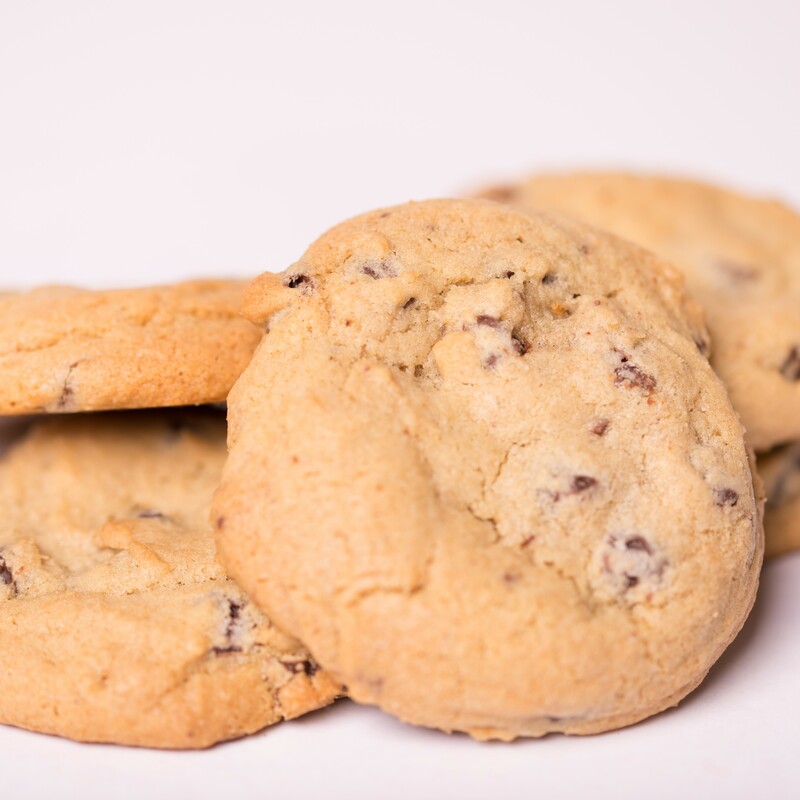 Our mouth watering chocolate chip recipe, without the chocolate! 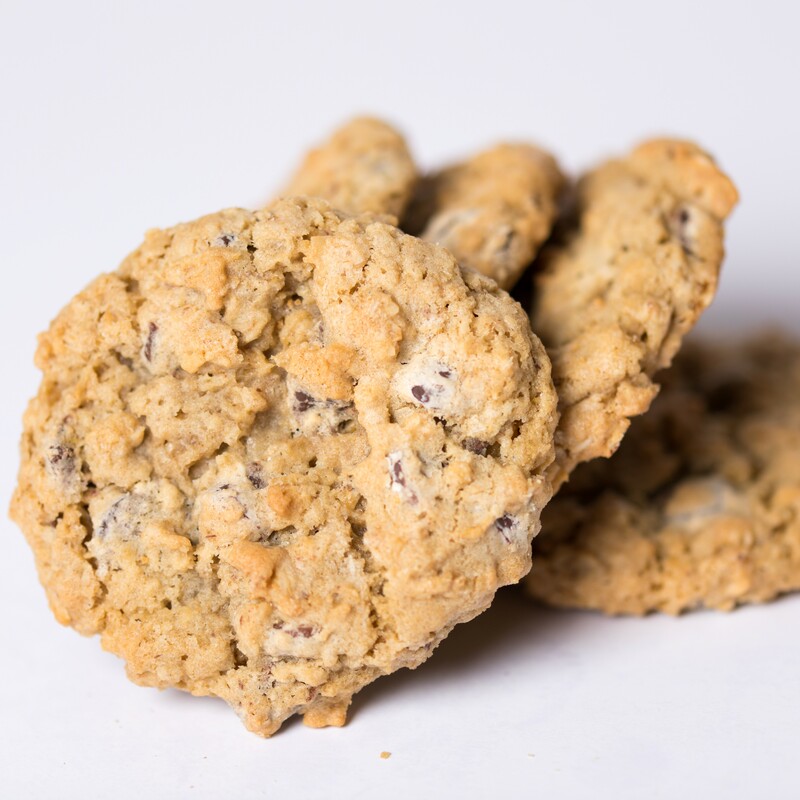 Take our savory and hearty oatmeal cookie with a hint of cinnamon and filled with sweet raisins in every bite! 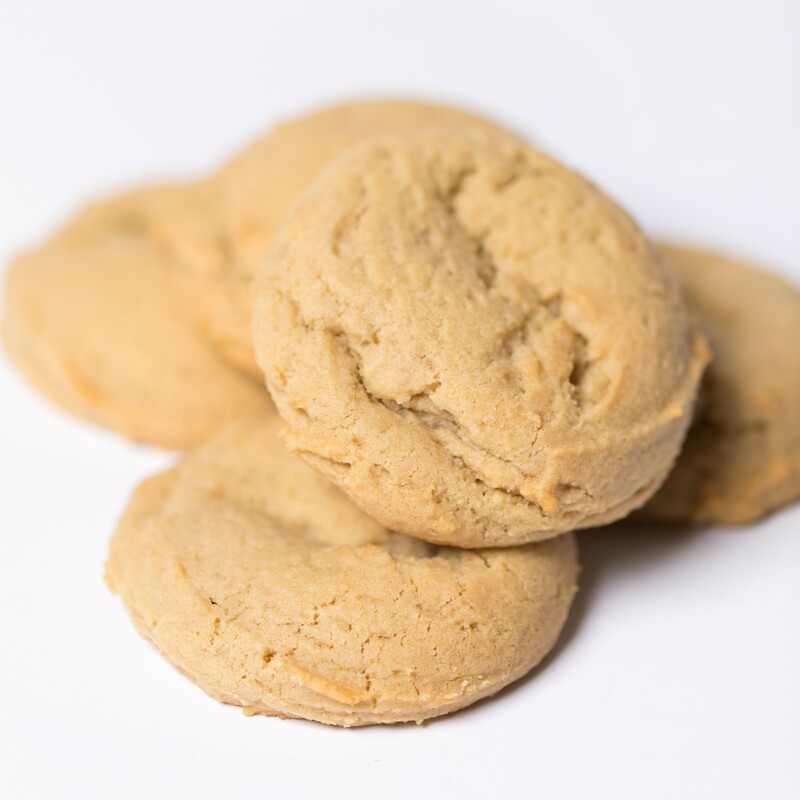 Just a straight up delectable cookie. 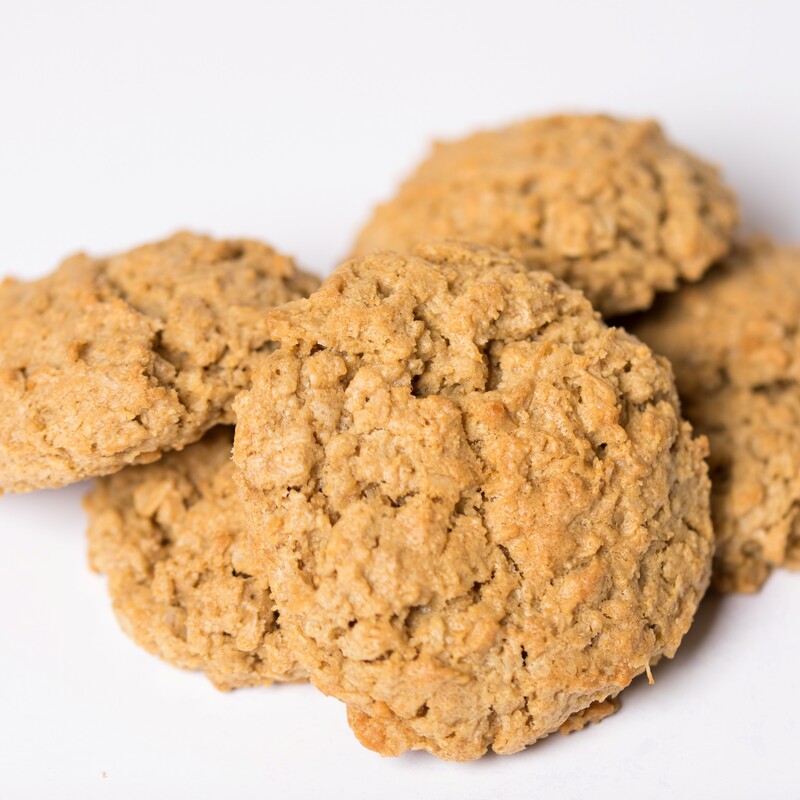 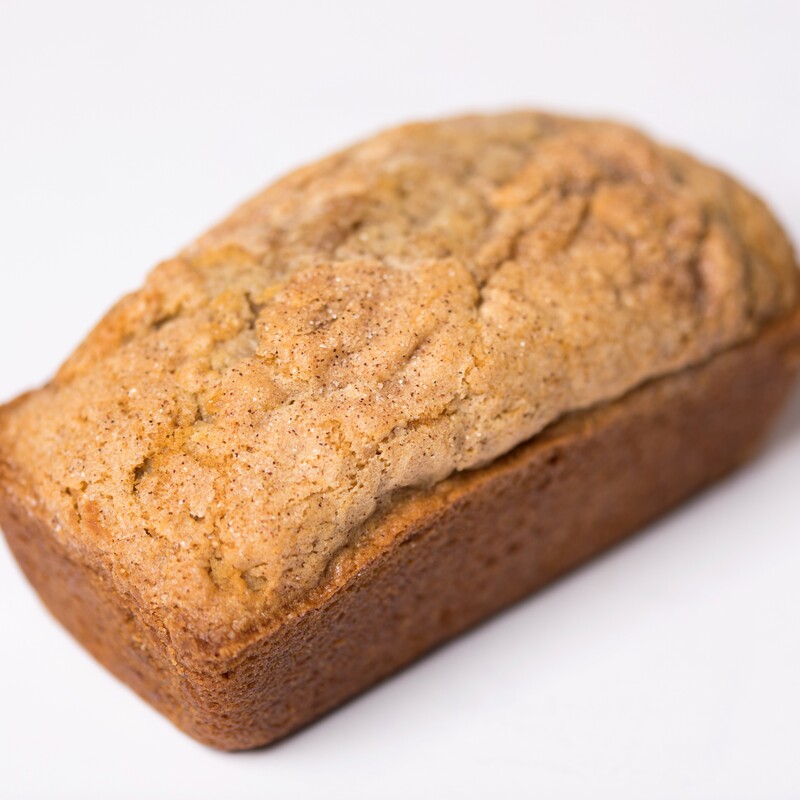 Our monster cookie without the chocolate, peanut butter and oatmeal never tasted so good! 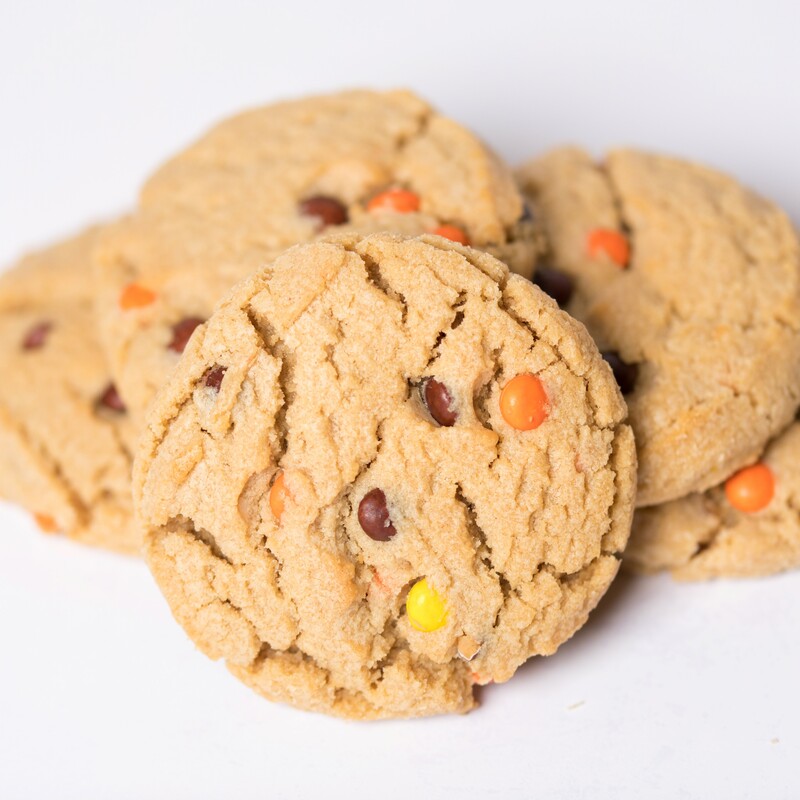 The great taste of a peanut butter cookie but with Reese's Pieces added! 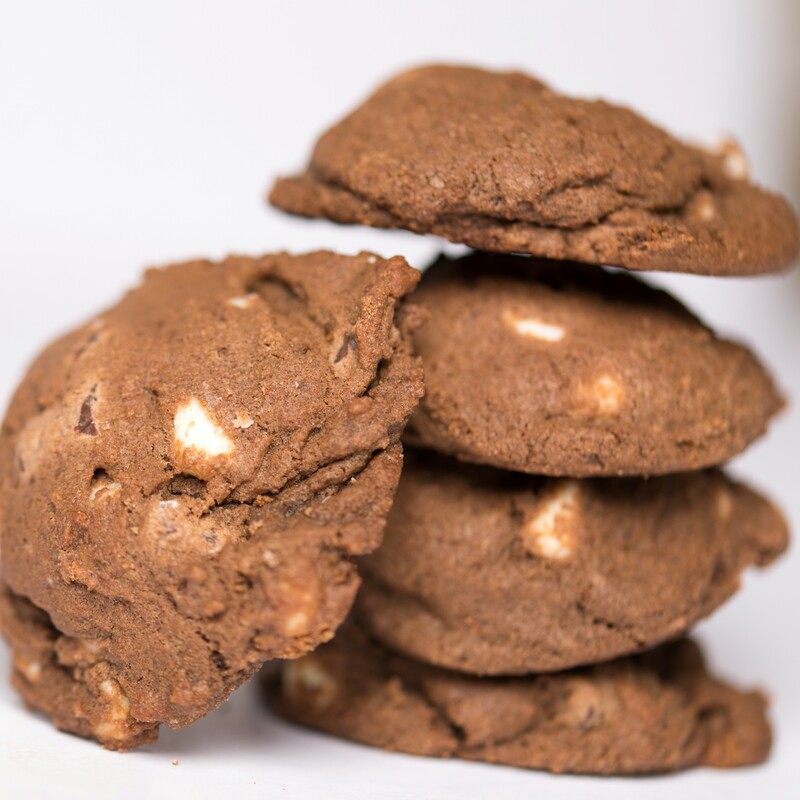 Chocolate chunks, walnuts, and snickers all in one cookie!